This high performance cuddy cabin boat goes 70 MPH. Spacious cuddy sleeps 4. "Bird Catcher" will put a smile on your face! 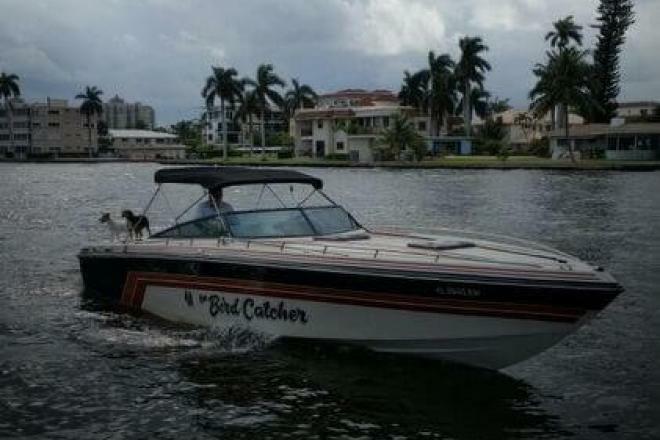 If you are in the market for a high performance boat, look no further than this 1985 Baja Force 320, just reduced to $14,500 (offers encouraged). 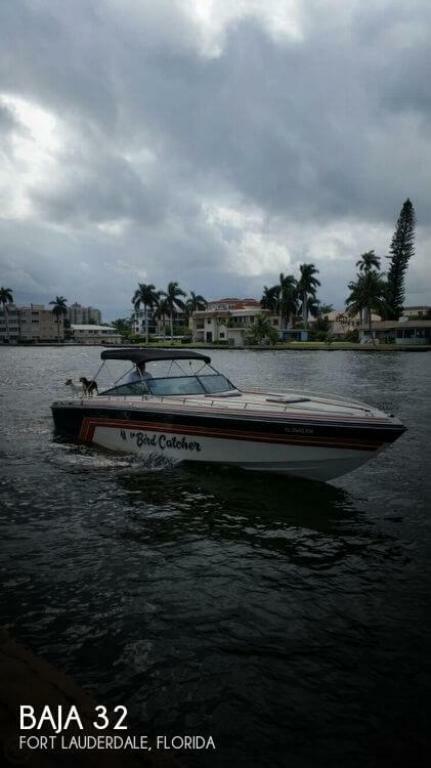 This vessel is located in Pompano Beach, Florida and is in good condition. She is also equipped with twin Mercruiser engines that have 512 hours.